The RTE pundit spoke to the lads at FRQSport and while he loves Mayo, he reckons Kerry could be in big trouble. 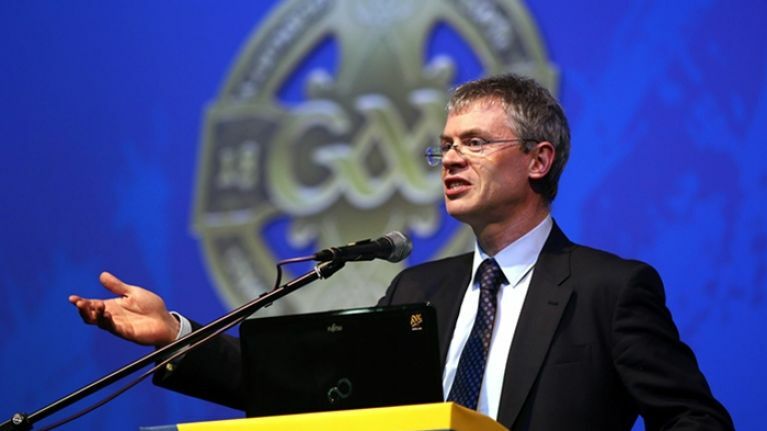 Whether you love him or loathe him, there’s no doubt that most GAA fans will always want to hear what Joe Brolly has to say. The lads (Seamus Conwell, Paul Lynskey and Johnny Cullen) of FRQSport managed to collar the Derry man for chat about the upcoming All-Ireland football semi-finals and as expected, it was an interesting listen. It begins with Brolly waxing lyrical about Mayo, describing them as a team doing ‘everything right’ while writing off Tyrone’s chances in this weekend’s clash. But Brolly saves his strongest barbs for Kerry. Brolly remains somewhat unimpressed by Colm Cooper’s role in the half forwards, saying he’s ‘not doing the primary role of a centre half-forward’ and he’s not ‘doing the hard yards’. He goes on to add ‘there’s a huge burden on his shoulders and he’s not just that type of person’. Paul Galvin also gets a dig, with Brolly saying his engine isn’t what it was, that Kerry's defensive style means they don’t know what to do with Kieran Donaghy and that they have too many problems to overcome against Dublin. Thanks to Seamus and the lads for passing on the audio. Check out the FRQSPorts page here.